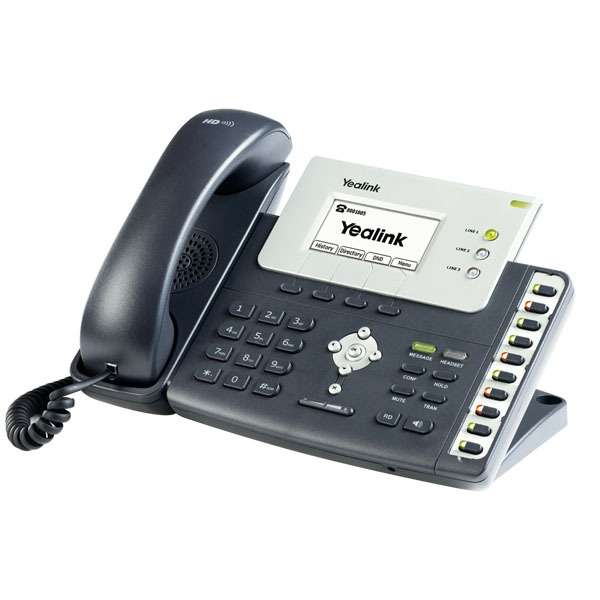 Yealink SIP-T26P is an advanced IP phone which designed for maximum productivity and efficiency in the everyday business environment. 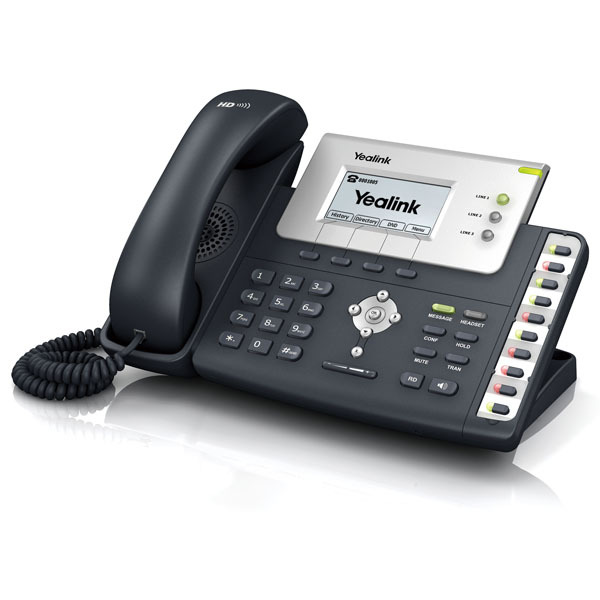 Yealink HD technology enables rich, clear, life-like voice communications. Built-in 10 DSS keys for programmed as the IP-PBX features like BLF/BLA, intercom, call pickup, hot desking, etc. Six navigation keys and four soft keys help you to use the phone easily. Ten dedicated functional keys provide you with direct access to the functions for audio and call control. Moreover, SIP-T26P has the rich external interfaces including 2xLAN, PoE, headset and expansion module ports, supports 802.1x, Open VPN, etc security standards.